1. 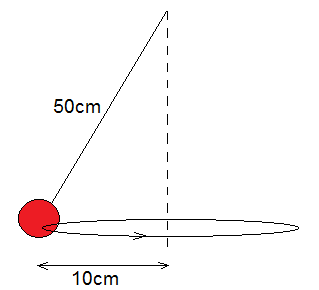 The bob of a 50cm long pendulum is made to move in a horizontal circle of radius 10cm. Calculate the angular velocity of the bob.2. Calculate the angular velocity of the small ball rolling around the conical bowl shown below.